Niagara Falls draws millions of visitors to its city each year, and for very good reason. The thundering Niagara Falls are a truly spectacular sight to behold and the unique combination of natural and serene beauty with bustling city-life makes it a destination unlike anywhere else in the world. Whether you have your heart set on having an intimate gathering or big celebration, Niagara Falls has a wide selection of venues that offer amazing spaces and picturesque views for groups of all sizes. You can choose from gorgeous ballrooms at the Sheraton on the Falls, Marriott on the Falls or Crowne Plaza Fallsview, a beautiful outdoor Garden Terrace Gazebo at the Sheraton overlooking Niagara Falls, or a Fallsview Wedding Chapel that is ideal for smaller groups at the Marriott Fallsview hotel. Talented culinary teams at hotels like the Sheraton on the Falls and Crowne Plaza Niagara Falls-Fallsview will help you to create a perfectly tailored menu for your special day featuring delicious dishes that utilize fresh and seasonal local ingredients. You and your guests can indulge in delicious cuisine, award-winning local wine, and remarkable desserts that will definitely add flavour to your lively celebration. You and your guests can find a number of incredible accommodation destinations right near your wedding venue and within sight of the beautiful Niagara Falls. There are thousands of guestrooms that can accommodate newlywed couples along with their special guests, many of them featuring spectacular views of Niagara Falls from floor-to-ceiling windows and locations close to a number of the city’s best sights and activities. 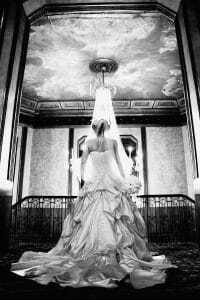 Planning your Niagara Falls wedding can be made easy and convenient by reaching out to the talented and dedicated team at Canadian Niagara Hotels. They will help you plan and execute the wedding of your dreams in a spectacular and one-of-a-kind setting. So, if you want to tie the knot in a world-famous destination, why not choose the “Honeymoon Capital of the World” where romance and beauty abound.